You re-work hard all day, so treat yourself with the BEST portable Adjustable Soldering Iron we carry! OK, "Best" may be subjective, but it's also the name of the brand, so there ya go! But, seriously folks, this is a really nice iron, good enough for every-day use. We dig the slim pen iron (so comfortable to hold), adjustable-temperature (oooh there's a little control box! ), durable grounded cord, and fast 60 Watt heat up! When you don't need a full soldering 'battle station', this pen-type iron will work well, either on a bench-top or in a tool box. It can handle any task you throw at it, and the handy control box sets the temperature. 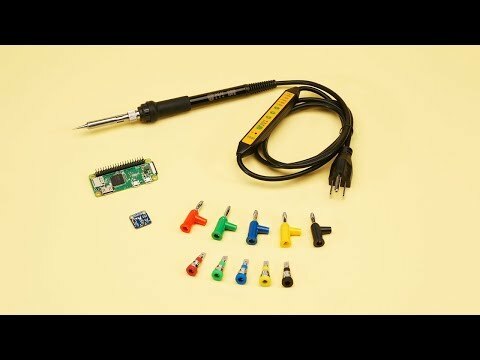 Once the soldering is complete and the iron has cooled off, you can easily coil it up to keep your work space clean and tidy.